Welcome to Blog Profiles! Each week, PR Newswire media relations manager Christine Cube selects an industry or subject and a handful of sites that do a good job with promoting, contributing, and blogging about the space. Do you have a blog that deserves recognition? Tell Christine why on PR Newswire for Bloggers. When it comes to a new year, my brain tends to move toward logistics. I like to know what’s expected of me personally and professionally for the year, and I like to mentally map things out in my head. You could say I’ve gotten way more organized with every passing year. Top of my list is budgeting. Especially with a new baby on the way, I need to prepare and plan for what’s ahead. Items like child care must be figured out now. So that’s what brought me to personal finance this week. “Our mission is to help consumers understand, engage with, and discuss the systems and forces that influence the marketplace, so that we, as consumers, can all make better, more informed decisions,” the site says. I like this site for a lot of reasons. It features several breaking news-type stories that I’ve seen literally the last several days on other forms of social media. This tells me the writing team stays on top of what’s relevant in the world of personal finance and consumer news. Some of the posts that caught my eye include Do Not Pay This Man To Mail Glitter To Your Enemies, Chipotle Pulls Carnitas From A Third Of Restaurants After Supplier Violation, and Pizzeria Lets Customers Donate Extra Slices To Homeless And Hungry Visitors. And then there was this huge bit of business news: Target Preparing To Exit Canada, Will Close All 133 Stores In The Country. Don’t expect to find any get-rich-quick schemes here, the site says. The site was founded in April 2006 by J.D. Roth, who shared stories about debt elimination, saving money, and practical investing. Roth became an occasional contributor in Oct. 2012. The site makes personal finance and decision-making really easy. There were many stories I could relate to, including Ask the Readers: What’s the most expensive thing in your closet right now (and was it worth it)? and What Should Your Investment Priorities be in 2015? In the latter post, blogger William Cowie offers some great advice to tackling priorities. Money Saving Mom is the blog of Crystal Paine. This blog caught my attention for a couple of reasons. First, it offers a lot of information on deals, grocery store deals, coupons, giveaways, managing your money, and blogging and business. Secondly, I find the content really accessible. Some of my favorite posts include Crockpot Freezer Cooking: 40 Meals in 4 Hours, My 3 Go-To “Grocery Budget Rescue” Foods, and 20 Ways to Raise a Baby on a Budget. Some of the baby budget tips that I found personally helpful – and therefore helpful to my own budget – include: Make your own baby food, trade babysitting time, buy items that convert, and have a friend be your photographer. The Krazy Coupon Lady features – you guessed it – coupons. And lots of them. I selected this blog for my personal finance wrap up this week because a critical part of budgeting is watching how you spend. For many, this translates directly into couponing. The brains behind The Krazy Coupon Lady are Heather and Joanie, who “started out as two eager young women shouting deals from their home computers” and it’s grown to a national phenomenon with major appearances on TV and web and print stories. Some notable posts include 5 Stockpiling Pitfalls You Should be Avoiding (among them: stockpiling items you won’t actually use), How I Managed a Financial Headache Through Creative Cost-Cutting, and Budget Survival 101: Budget Together as a Couple. P.S. Ever wonder how we come up with ideas for our blog profiles? Our handy list of industries and subjects on PR Newswire for Journalists stays top of mind. 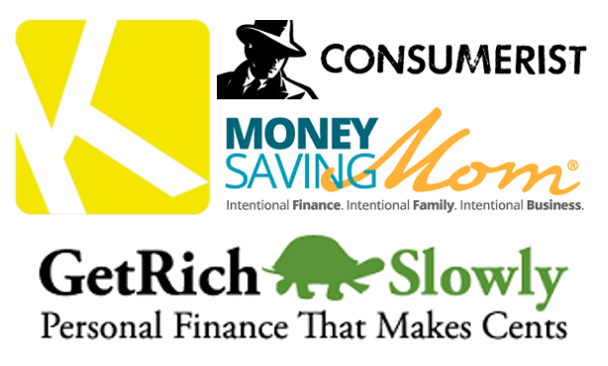 If you’re a blogger or journalist looking for personal finance or consumer-related news, let us know. We’re happy to customize those feeds for you on PR Newswire for Journalists. Christine Cube is a media relations manager with PR Newswire and freelance writer. She has a budget, and she’s checking it twice. Maybe three times. Ok, four. Sheesh. Follow her @cpcube. Hi, its pleasant article concerning media print, we all be familiar with media iis a fantastic source of information. just nice and i can assume you are an expert on this subject. I enjoy, result in I found just what I was looking for.